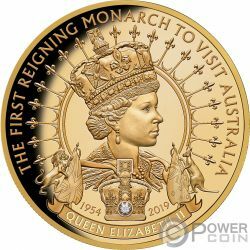 This beautiful 1 Oz Gold coin is dedicated to the first reigning monarch to visit Australia - the Queen Elizabeth II. 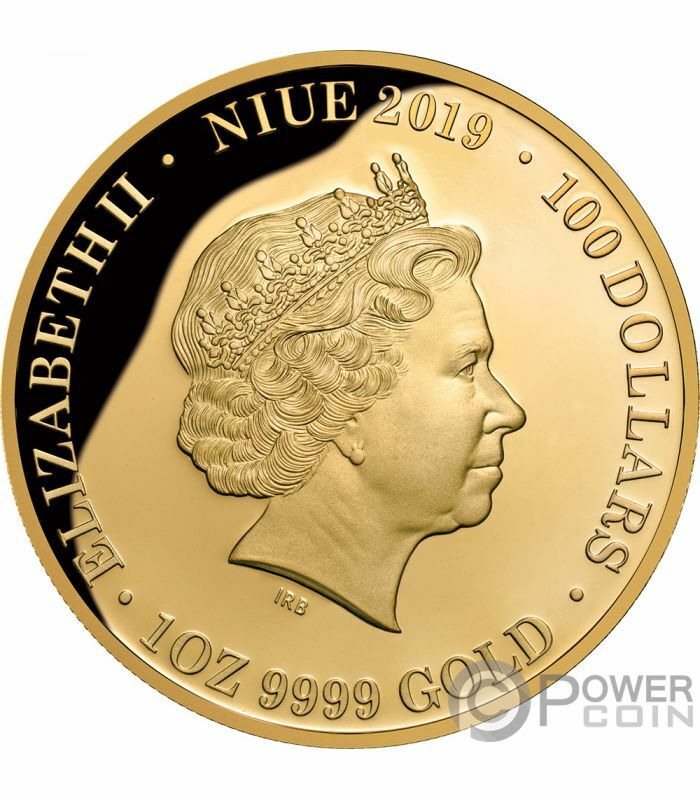 The coin has an incredible design, has a wonderful genuine Diamond insert, has a Proof quality and comes in an elegant case, along with the Certificate of Authenticity. 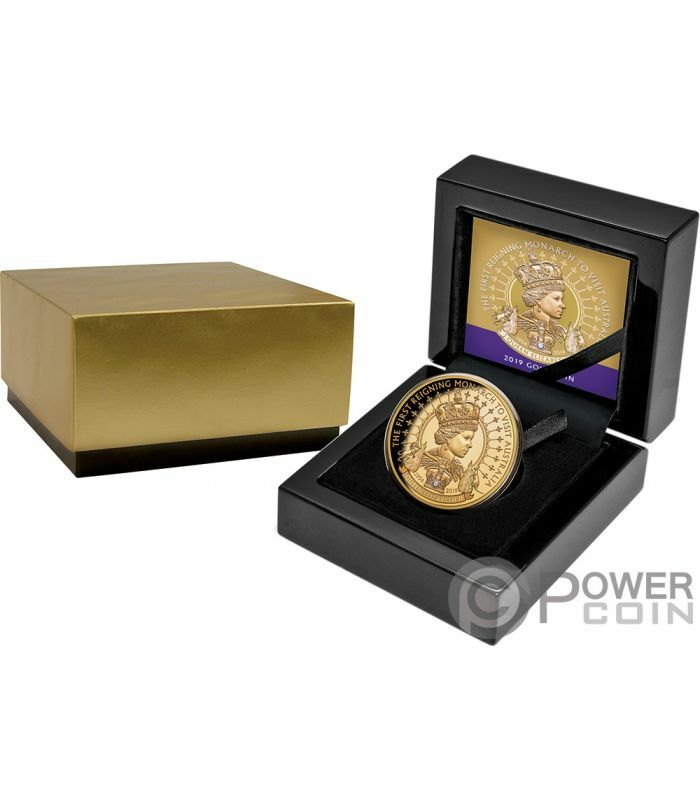 Limited mintage to 150 pieces worldwide. The reverse of the coin depict the beautiful image of Queen Elizabeth II, surrounded by beautiful decorations underneath a beautiful Diamond insert. 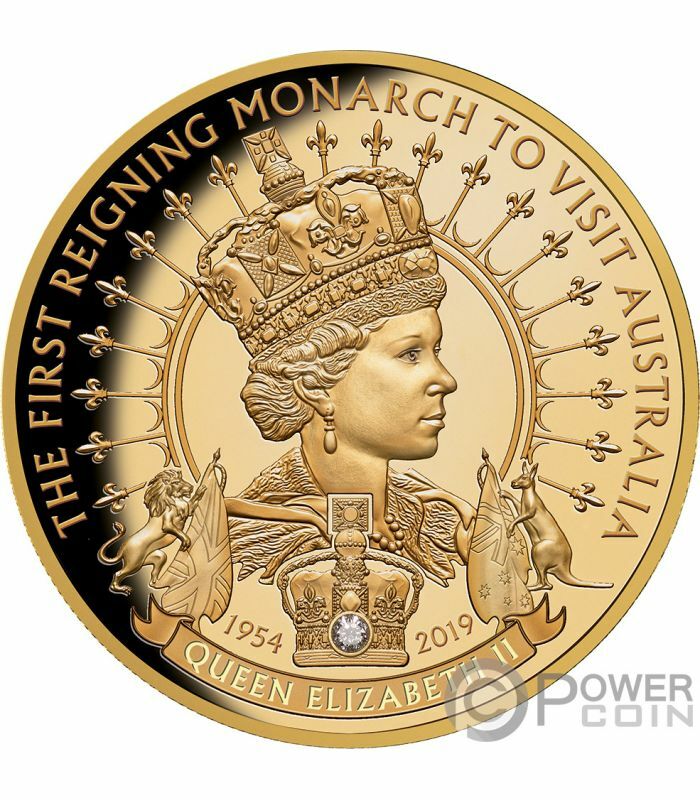 All around the reverse, the inscriptions: “THE FIRST REIGHNING MONARCH TO VISIT AUSTRALIA”, “QUEEN ELIZABETH II” – the name of the coin and “1954 - 2019” – the years of the monarch’s activity. The obverse of the coin features the effigy of Her Majesty Queen Elizabeth II and the inscriptions: “ELIZABETH II” - the name of the Queen, “NIUE” – the issuing country, “2019” – the year of issue, “100 DOLLARS” – the face value and “1OZ 9999 GOLD” – the weight of the coin and the fineness of the Gold.